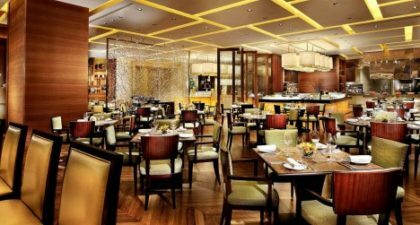 Belcanção at the Four Seasons Macao in Cotai offers its guests daily breakfast, lunch and dinner buffets with rotating themes, blending together Asian and Western cuisines. 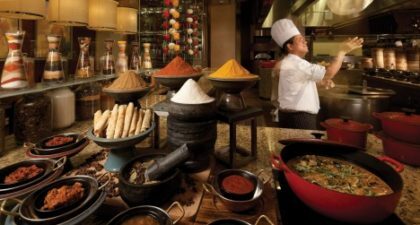 Guests will enjoy the tantalizing buffet in a stylish, yet relaxed atmosphere. 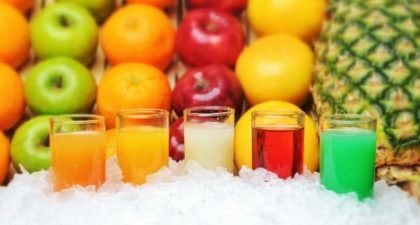 Their lunch buffet features a variety of savoury dishes, delicious pastas and pizzas, spice-laden Indian dishes, and fresh sushi, while their dinner buffet offers a delightful selection of seafood, including shrimp, mussels, king crab legs, clams and more. 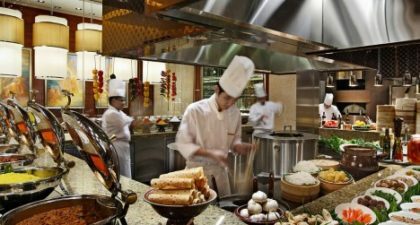 Guests will also love the made-to-order live cooking stations where chefs can whip up a variety of Asian and Western specialities. Must try dishes include the Braised Beef and their Eggs Tarts, which are worth every calorie!